One of the greatest circuits on the Formula One calendar lands in Belgium this August , featuring the legendary Eau Rouge corner, Spa-Francorchamps is among the truly magical Grand Prix venues. Revel in the exhilarating world of Formula 1 racing with either a weekend (3-day) or 1-day pass. Practice and qualifying sessions take place on Friday and Saturday, with the Grand Prix following on Sunday. 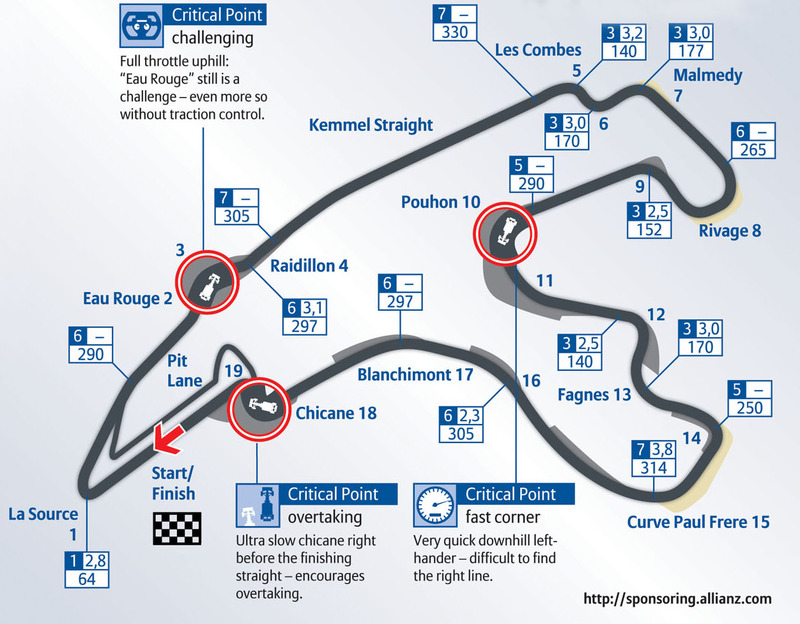 Run on narrow public roads, the original Spa layout was an amazing 14.9 kilometers long and notoriously dangerous. The lap distance was reduced slightly over the years, with some corners eased, but when the ‘old’ circuit staged its final Grand Prix in 1970 it still measured just over 14 kilometers and remained staggeringly quick – Chris Amon set that year’s fastest lap at an average speed of just under 245 km/h. The weather is still notoriously changeable it can often be simultaneously raining on one part of the track and dry on another and with its high speed and sudden elevation change, maintains its reputation as one of Formula One racing’s most technically demanding corners.